Get After It - giveaway! One thing I love about exercise is that it is limitless. And it always somewhat baffles me that so many people are so unaware of how MANY different activities there are out there that can challenge your body and result in weight loss and strength gain. I like to think of the gym as a giant craft box. You know, the kind your mom had when you were little. If you were lucky, she’d break it out on a rainy day and let you have free reign of the contents. The possibilities were endless, if only you used a little enthusiasm and imagination (and of course, glitter and a glue stick). The gym is the same. With a little thought and variety, you an achieve your goals without ever succumbing to treadmill boredom. * Cardiorespiratory (CR) endurance (cardiovascular fitness)- the efficiency with which the body delivers oxygen and nutrients needed for muscular activity and transports waste products from the cells. And these components can be achieved in numerous ways. 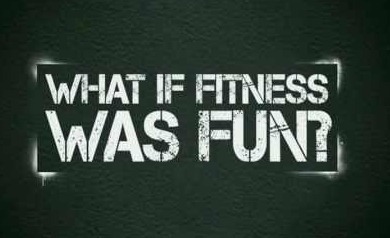 Point being, without going into an exercise physiology lesson, fitness should be FUN. OK, sometimes, when you are sucking wind, and the lactic acid is causing your muscles to scream in fatigue, well, that’s not always every one’s idea of “fun”. But you catch my drift. The past few weeks at the gym I’ve been pushing myself out of my comfort zone and keeping my fitness FUN by trying new things. There are standard exercises that I’ve always shied away from, like a bench press. I’ve worked in gyms for a while now, and I can probably count on both hands how many times I’ve seen females on the bench. The guys are always fighting for bench space, but the girls seem to avoid it like the plague. And why is that? I’m sure there are numerous reasons. It’s heavy (I mean, the bar without any weights on it is still 45 lbs), and we are typically weaker in the upper body. I’m just calling it like it genetically is. It’s heavy, you typically need someone to spot you, it’s intimidating, let’s just go hop on an elliptical. Am I right? And I’m guilty myself. Prior to about a month ago, the only time I’ve ever benched was for a one rep max test at school. I think I chickened out at like 55 lbs. But now, I’ve tried something new, I’ve stepped out of my comfort zone, my normal routine, and turns out, I’m having FUN. Each time I tackle the exercise, I find myself able to lift more and more weight. Yesterday, I did a pyramid working my way up to two sets of 6 reps of 85 lbs. I mean, sure, it’s not super heavy, but for a chick who at one time did a one rep MAX of 55 lbs, that’s a big deal. Seeing my accomplishments and improvements is fun in it’s own way. I never imagined I’d love bench pressing. Guess you never know until you really give something a try. Push your limits. TRY new things. Still hate it after a few attempts? Try something else. Don’t over think it. Push your body, believe in yourself, and above all, have fun. GET AFTER IT! 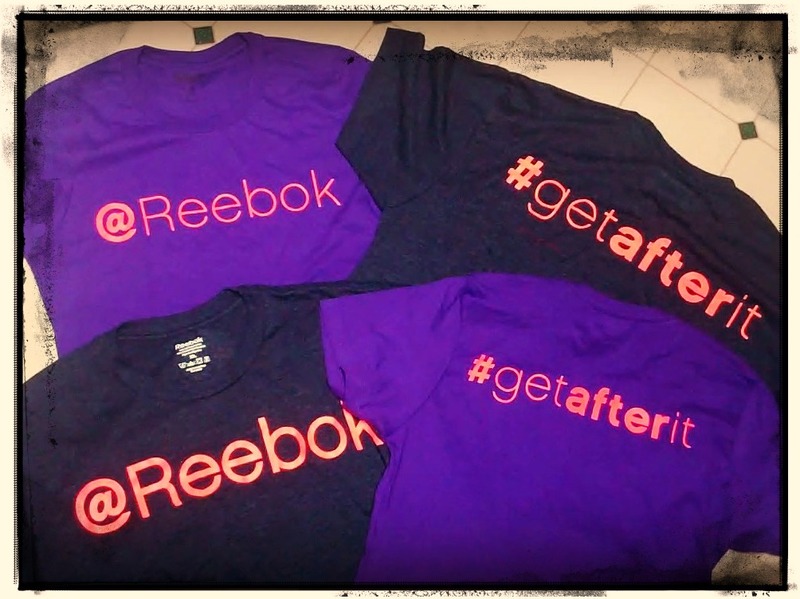 Want to win an awesome #getafterit shirt from Reebok? Post a comment below and tell me what you’ve done lately to #GETAFTERIT. Have you been waiting for some inspiration? Then post a comment telling me what you are going to tackle in the near future. I’ve got one grey men’s shirt and three women’s purple shirts up for grabs. Winners will be picked randomly by random.org on Monday Oct 22 and notified via a follow up blog post. *Disclaimer: Although I am an ACSM HFS, please consult a physician before beginning any diet or exercise plan. If you choose to do any of the workouts featured on this website, you do so at your own risk. 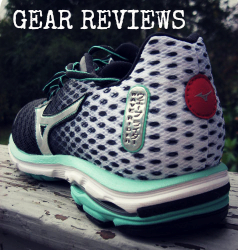 Reebok gear was provided to me for free, however all opinions expressed in this blog are that of my own. This one is easy – three months ago I switched my comfortable, safe, “I’ve done this for three years and have good friends doing it too” class, and took up Crossfit at a local box. I needed to get Beast ready, and it wasn’t happening. I needed to be able to lift more weight, and get way more comfortable with my own bodyweight (lifting over walls and such), and it wasn’t there. 3 months of Crossfit 3 to 4 times a week, plus my normal running and I’m *way* more rounded and strong. I can string together more than a single pullup, and deadlift way more than I weight. I stepped way out of my comfort zone and signed up for a half marathon several months ago….Well the half is this coming Sunday and my goal is to finish and not die. Then I want to get in to more cross training and not just all cardio which will be out of my comfort zone as well. Honest to goodness Heather, your blog was one of the very first running blogs I started reading about 2 years ago. I remember the day vividly when I google’d “Running Mom Blogs” and yours was at the top of the list. You have given me so much inspiration to #GetAfterIt that I have gone from having just had my second child and being so, so out of shape I couldn’t run 1/2 block….to just last week I completed my 4th marathon! Next month I’ll be running Marathon #5 and it’s still surreal to think I’ve accomplished these things. My motivation started from wanting to “get fit” but this has taken on a life of its own. I no longer think about things like how many calories I’m burning during each run or what size my clothes are. My motivation is to be strong and fit and set a good example for my children. All that to say, thank you so much for continuing to blog throuhgout the past few years. I’ve seen you go through so many struggles and taken on things I couldn’t imagine and you still motivate, exercise, stay fit and promote good health. I always think that if you can do it…I have no excuses. You’re an inspiration! I’ve been getting after it with marathon training! I plan to have an awesome marathon on December 9th! I’m training for my first marathon while trying to maintain some of my strength and flexibility. I’m getting after it by running more than I ever thought I would, while keeping up some time lifting at the gym, and doing yoga. i just ran my first trail run ever which also happened to be the farthest i’ve ever run – xterra point mugu trail 11k run… AND, i placed 3rd in my age group. how’s that for a double first? 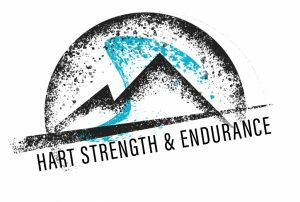 i’m also training for my first spartan sprint in december – malibu. i can’t wait! okay… i’m going to try this again. i just posted with the goofy identify showing. i just ran my first trail run ever which also happened to be the farthest i’ve ever run – xterra point mugu trail 11k run… AND, i placed 3rd in my age group. how’s that for a double first? 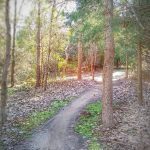 I ran my first half marathon distance ever on the trails last Saturday. If it wasn’t for my brother signing us up to do our first Spartan in April, I wouldn’t be where I am today. This weekend I’ll be getting after the TM in KY and the following weekend the Super in Illinois. December I’ll be completing my trifecta in Texas at the Beast. Aroo! I got after it by working out very morning and than turned around and had another workout in the evenings m,w,f. with heavy weights. I would love to do a crossfit workout, but for now I dont have one close to home so that is on my future plans. This year I ran my first even 5k obstacle mud run, I’ll be doing another 5k zombie run AND training for the Princess Half at Disney next February. After spending 5 yrs either being pregnant or nursing the babes, it’s been a great year to #getafterit. I’m getting after it by running my second marathon this weekend. Can’t wait! I quit a pack a day smoking habit May 6, 2012. Ran my first 5K with NO training. Running Warrior Dash in a few weeks. Dallas Full in April 2013. I got after it by running the Nike Women’s Half Marathon in San Fran on Sunday. Whew that was the hardest course I have ever attempted. I got after it by running the Nike Women’s Half Marathon in San Fran this past Sunday. It was the toughest course I have ever attempted. In April of this year, I started running. I was out of breath running for 30 seconds when I started. Last month, I did the Rugged Maniac (a 5K OCR), and I’m signed up to do two more OCR’s in November. Every time I work out I am pushing myself beyond what I thought I would do. 🙂 And I’ve met some really great people along the way, which has made it even more fun and challenging! This has been a huge year for me to #getafterit – after kicking a longstanding autoimmune illness in the @ss, I got into running and triathlon as a way to say to myself and the world ‘Grace is BACK’. 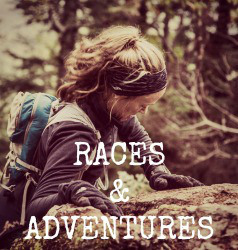 I’m looking forward to seeing how far Grace’s new body can go in the upcoming Trailapalooza 12 hour trail run. I’m in week 8 of c25k and just started insanity! I also just ran ny first 5k race last week! After multiple injuries and illness along the way, I made sure to #getafterit by running my first marathon this weekend and finished a half hour faster than I’d hoped for!! However, it was an EPIC FAIL– as my son shut the camera off before the 20th burpee was filmed = no entry into the contest! Oh, well! This morning I got up at 6am for a backyard WOD before the sun came up. The boyfriend was sleeping so I had to try to jump on the box lightly and slam the ball delicately, lol. For me, 6am morning WOD on an empty stomach in the dark 50 degrees weather is definitely #gettingafterit! I love the craft box analogy! Working out CAN be fun – and it should be so that you stick with it. I get excited when I see a new exercise or technique to try. Ran my first half marathon this year (Covered Bridges race in VT)! I’ve also signed up for 6 races this fall including the Army Ten Miler in DC this weekend. Being mom to a 16 month old son, and working full-time, I have had to make a large effort to refocus some time for myself and exercise. Now I go to the gym 3 days a week and running a few days a week as well. This has been wonderful – I have more energy and feel so much better about myself! I am aiming to do my first marathon next year! Do I get five entrees for being in the video? ;-). You rock Heather, and inspire. I’ve been doing triathlons for 6 years now and I’m finally building up to half-ironman distance for 2013. I just focused on running for the last 3 months and completed my first half-marathon. Next up: 3 mile swim race. Building each discipline separately, then bringing them together. Started running again this year!Ran a few 5ks and an 8k I am now training with krank systems to complete my first Mudder June 2. Why did I start this? I needed a life!I work full time and have a 4 year old and 16 month old. I am working on consecutive monthly half marathons starting in November…then hoping to do a full next year! I have gotten after it by taking and PASSING my ACSM CPT test and now I’m looking to get some experience at the gym I already work at (doing childcare). She’s weird about some things and so if she isn’t willing to help there are plenty of other places to get experience before we move to MD next summer! I just ran my first half marathon Saturday and it was definitely a #getafterit moment for me! What have I done lately to #GETAFTERIT? 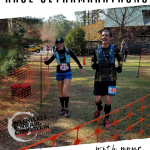 I ran a marathon two weeks ago and then just ran an overnight relay this past weekend! I am getting ready for half marathon #7 and it’s on one of the hardest courses I’ve attempted yet! That’s how I #getafterit! I #getafterit by doing crossfit 4 times a week, which I started doing this summer. I love lifting weights now, where I before loved group exercise classes that lacked heavy weights. This past weekend I also ran a half marathon, so I’m trying to keep my running in my schedule too! I #getafterit by getting up and going each day even if I don’t want to! 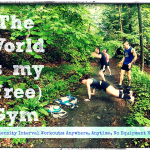 I was training when I feel pregnant with #2 and took a big emotional blow! I was extremely upset that I got pregnant at such a time. But my husbands support and love and knowing I’m going to have another lil one to share this with has pulled me through! Now being active is something #2 will have known before he was born! Great post! 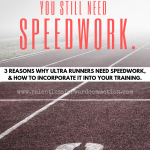 It took me over 5 years of running to realize how important cross-training was! I’ve been doing Insanity and training for 15k and Half Marathon next month, but recently sprained and fractured my ankle. It’s put a damper on what I want to be doing, but I’m still trying to keep up my strength and fitness while recovering. I am running my first half marathon this weekend and am hoping to come in under 2 hrs.I would love a shirt, I have been searching the stores for one for weeks! I have printed out a 12 week training program and have completed pdr runs each Sunday since startup!